No Matter How Long the Winter, Spring is Sure to Follow. 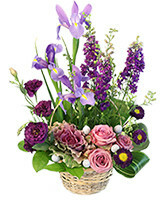 Pave the Way for Warmer Weather with this Lovely Bouquet of Spring Flowers from SEABROOK HOUSE OF FLOWERS! This pure white bouquet of Casa Blanca lilies makes an elegant statement as a perfect floral tribute, centerpiece or decorative arrangement. These lovely lilies also leave a soft fragrance in the air. Show loved ones that you care with fresh flowers from SEABROOK HOUSE OF FLOWERS. Wedding Wire &vert; Facebook &vert; Instagram &vert; Check out our reviews!